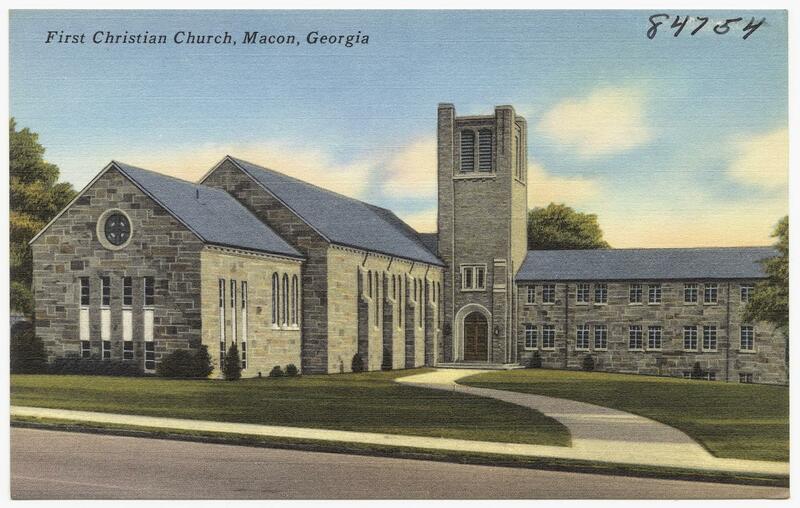 A postcard of the first Christian Church in Macon, Georgia from the archives at the Boston Public Library. We also followed up with Hall when we visited Macon on our listening tour this summer. We explored how he is redefining what it means to be a Baptist through community engagement in Macon.